60th Anniversary Custom Shop, Other Steel String Guitar from Guild. Guild celebrates its 60th anniversary and opens a Custom Shop which first guitar is a limited edition anniversary acoustic Orchestra. 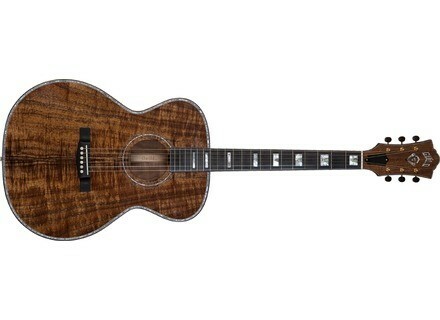 Only 60 guitars will be produced for this 60th Anniversary edition, and sold $6 999.99 (MSRP). More details at www.guildguitars.com. [NAMM] Washburn Nuno Bettencourt EA20SNB Washburn Guitars and Nuno Bettencourt, introduce the EA20SNB Signature stage ready acoustic/electric guitar.